The domain in the .TUBE area can be extended at any time, but before the end of the domain. Domain name registrar, Regery company, makes it easy to register a domain name in a .TUBE area. Thanks to a quick search for available domain names, you can quickly register a domain name you like. Intellectual suggestion engine of domain names allows you to choose the most optimal name or can suggest possible new variants of your request. Thanks to a flexible infrastructure, domain prices in the zone .TUBE are among the most profitable in the market. To start searching in the zone .TUBE, enter the desired domain name. The domain area TUBE refers to open domain zones of general purpose and does not contain restrictions. Anyone can register TUBE domain for a site, blog, store, services or services. .TUBE is generic domain extension. 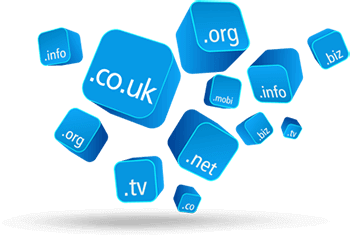 Generic top-level domains (gTLDs) are one of the categories of top-level domains (TLDs) maintained by the Internet Assigned Numbers Authority (IANA) for use in the Domain Name System of the Internet. Historically, the group of generic top-level domains included domains, created in the early development of the domain name system, that are now sponsored by designated agencies or organizations and are restricted to specific types of registrants. Configure all DNS records (MX, A, NS, TXT, ...) in a single system. Url address redirection is free. For example, redirect all visitors from the old site oldstore.TUBE to the new new-ultra-store.TUBE for free. On the Regery services a FREE domain visitors forwarding from the .TUBE domain to another is available. This is very convenient if you need to redirect visitors from .TUBE site to a new web resource. You can forward e-mails which come to your service@yourdomain.TUBE to popular email services like gmail to mymail123@gmail.com. With Regery services it is Free and easy. Regery services keeps monitoring of your .TUBE domain and cand send priority e-mails and SMS notifications. You do not need to watch expiration date to make sure you renew .TUBE domain on time. Auto renew feature keeps your domains, ssl certificates and other products in your account and under your control.